What Is The Best Sunscreen For Horses On The Market? For the majority of horses, sunburn isn’t a major problem. Most horses have black skin on their bodies, so aren’t affected by the sun’s harmful rays, and the skin is tough enough that sunburn isn’t a big problem – for the body, anyway. For those horses with pink skin around the muzzle, underneath a white blaze or white patches, sunburn can be a real and painful issue. Obviously you can’t keep your best friend stabled throughout the entirety of the hot summer months, so what can you do to reduce the risk of sunburn and potential skin issues further down the line? You search for the best sunscreen for horses, of course! 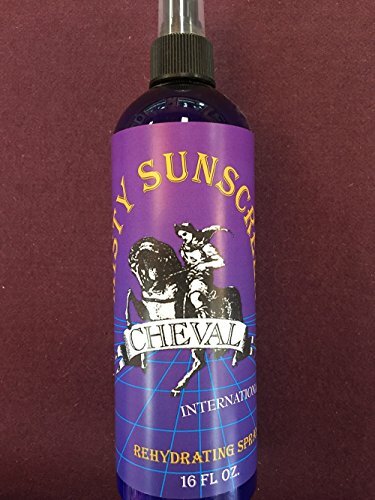 This spray on rehydrating sunscreen is great for keeping your horse cool, and for keeping the worst, most harmful sun rays from burning the delicate skin of your pink-skinned horses. Great for keeping hot horses (and riders!) cool and refreshed – In the hottest of weathers, keeping cool can be difficult. Not any more! Keep your horse cool and comfortable in the hot weather with this cooling spray. It smells delicious – Although we all love the warm, horsey smell, it can get a little overpowering when he’s all hot and sweaty! A little spritz of this fragrant cooling spray is a treat for your nose as well as for your horse. Non greasy formula – Unlike many sunscreens, this one is not a sticky one, meaning that you won’t have to put up with hay and bits of dust sticking to your meticulously groomed steed. Contains sunscreen as well as rehydrating – You can be sure that spraying this onto your horse will not only keep him cool, but will protect against some of the harshest sun, preventing sunburn and its related issues. It’s an expensive product – This one is quite a pricey one, but you do get a whole 32 ounces for your money, so it should last you for a long time. A cooling spray with built in sunscreen? Sounds perfect for the summer! Spray into your hand for applying to the face, and spray all over the rest of the body as long as your horse will tolerate being sprayed – if not you can just wipe it on with your hand or a cloth. Don’t be fooled by the small size of this product – it performs a big job! Not only is it a great sunscreen, it is made in the US from lovely natural ingredients. SPF15 for sun protection – When you’re shopping for the best sunscreen for horses, you want one that will do the job it’s supposed to do. This one, with its good SPF rating, will set your mind at ease. Great at keeping off insects – This sunscreen has an added bonus that is also works at repelling flies. That’s two of the irritations of summer gotten rid of, with just one product! Contains natural oils – Obviously, as a horse owner you want to best for your horse. Often, this means using the most natural products possible, and the fact that this sunscreen contains natural oils of Cedarwood, Eucalyptus, Citronella and Peppermint is a big plus. Made using vitamin E and Wheatgerm – Vitamin E is one of the best things you can use for skin. It is moisturising, nourishing and very soothing, so you know it will be good for your best friend’s sensitive skin. It comes in small amounts – You will receive 8 ounces of this product, which may not last long if you have lots of horses to apply it to. A great, natural product that really works, this sunscreen is sure to find its way onto your list of favorite products in no time. This product is designed to enhance your horse’s natural beauty (I know, I know – as if he needs any help doing that!) and it also contains UVA and UVB blockers to keep off the most harmful sun rays. Gentle formula is ideal for sensitive areas – This sunscreen is perfect for using anywhere on the body, including the delicate skin around the eyes and the muzzle. Sunscreen contains UVA and UVB blockers – Some sunscreens only protect against a small fraction of the sun’s rays, but this one covers the whole spectrum. Whether your horse is standing around waiting for his turn in the show ring or relaxing in the field, you can be sure he is as protected as he can be. Great at hiding scars or blemishes – Another added bonus to this sunscreen is its ability to cover up anything unsightly on your horse’s skin – again, great for the show ring. Can be used on any colored coat – The color is neutral and clear, meaning that it will be entirely invisible on any horse. Unlike with some sunscreens, with this one you haven’t got to worry about those irritating white patches on a dark colored horse. It’s quite a sticky product – You may find it a bit thicker than some sunscreens, so make sure you carry a rag round with you to wipe it off your hands after every application. 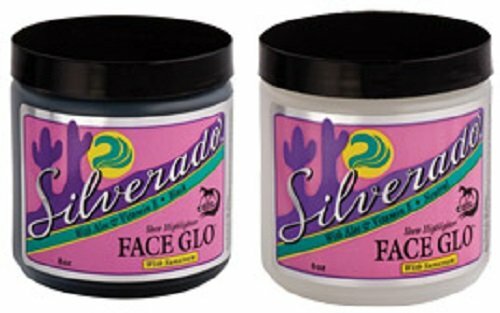 A multifunctional sunscreen, Silverado will keep the worst of the sun off your horse’s delicate bits, and also cover up any unsightly areas. It also contains Aloe Vera, which is famously good for the skin. As we all know, too much sun exposure can be very damaging to delicate, sensitive skin. We humans cover ourselves in sunscreen to protect ourselves and minimise the risk of skin cancer, so why on earth would you not do the same for your horse? 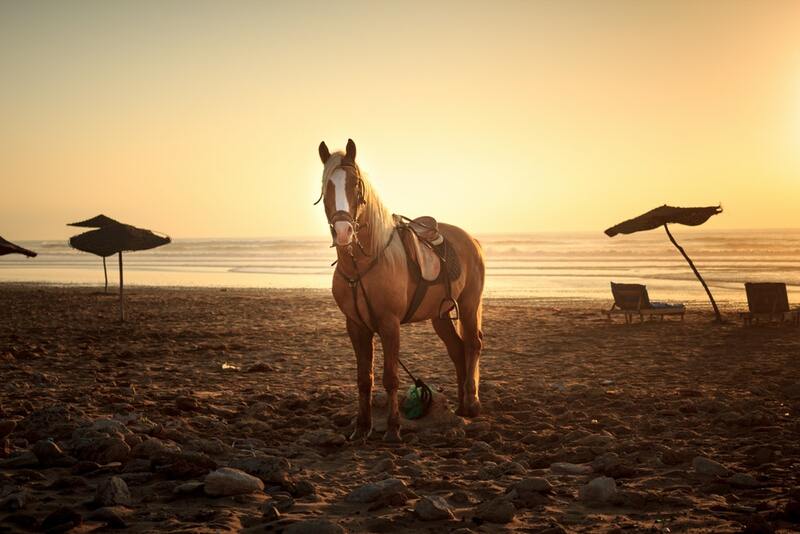 Pink skinned horses are at particular risk from the sun, so if you have one then you’d better get searching for the best sunscreen for horses, to minimise any potential pain or skin damage to your pale skinned partner.